Penn State proud and stylish at work or at your next meeting! The Crown Crafted Performance Oxford sport shirt is meticulously crafted from an innovative performance blend fabric that offers ideal stretch and moisture management. 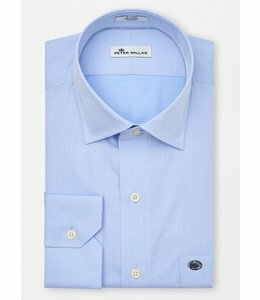 Designed with a spread collar, French placket, mother-of-pearl buttons and mitered cuffs. Wear it under our Crown Crafted Performance Soft Jacket for a completed aesthetic. 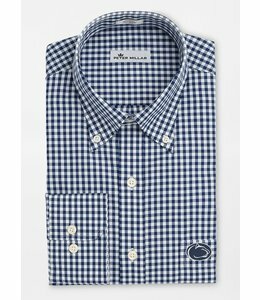 Every man needs a classic dress shirt in his wardrobe that has a PENN STATE LION HEAD LOGO!